In honor of Recovery Month, here is an excerpt from “What We Believe About Addiction Matters,” originally published in Sober World Magazine, written by Chief Clinical Officer, John Dyben, DHSC, CAP, CMHP, ICADC. “In modern society, there are numerous issues that impact individuals, families, and society as a whole. Crime, war, disease, and poverty are a few. 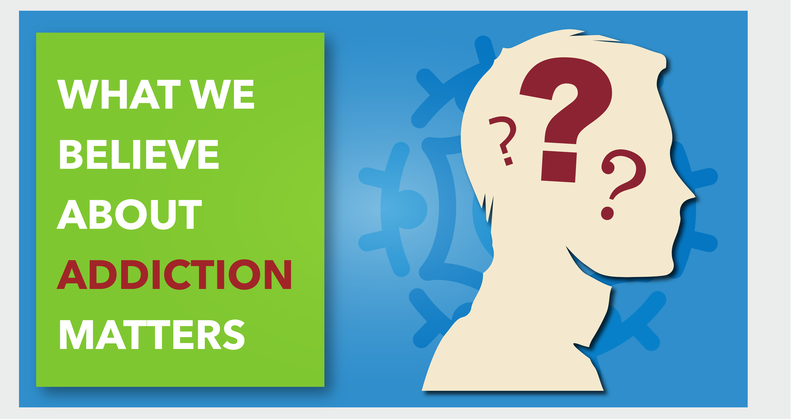 What we believe about these and other issues is a major driver of how we address them. In the 14th century, a plague hit Europe that wiped out millions. Many believed that it was a punishment from God and so they expelled or killed those who were seen as evil doers in an attempt to win God’s favor. Later, it was believed that mental illness was the result of demon possession and so the mentally ill were locked up in horrible conditions when attempts at exorcism ultimately failed. Other medical and scientific organizations have definitions that include further descriptions but all definitions include the clear statement of the known fact that addiction is a disease. How then do we, as a society, treat disease? Consider any major disease such as diabetes or cancer. We put money towards treatment and research. We develop facilities to care for the afflicted and we demand high standards be kept for the provision of that care. We organize walks and fundraisers. We work hard to put a spotlight on the disease to increase public awareness. We wear ribbons and bracelets to support those affected. Unfortunately, when it comes to the disease of addiction, we seem as a society to have a vastly different reaction. We spend the majority of our national efforts punishing the addicted, spending tens of billions of dollars each year on arrests and incarceration. What does this say about what we believe about addiction? One cannot help but conclude that this reflects a societal belief that, despite what scientists and health professionals tell us, addiction is not a disease but rather a moral failing. The result of this belief is that we incarcerate rather than treat; we provide punishment rather than care; we invest in arrests rather than research. Consequently, the problem continues to grow generation after generation and addiction continues to ravage the very fabric of our society. In order to effect real and lasting change in the area of addiction, we as a society must change our beliefs and we must redirect our practices to reflect an understanding of addiction as a disease that should be treated like any other disease. It is, however, easy to see why this is difficult for so many. Addiction causes changes in the brain that decrease the individuals’ ability to make healthy choices. So, those who are close to the addicted experience lies, theft, manipulation, unkept promises, abandonment, and other aberrant behaviors. It is understandably difficult to see past the hurt these behaviors cause when one is on the receiving end. Also, as a society, when criminal acts are committed within the course of a person’s addiction we still have to deal with those acts. These raise distinct concerns that differentiate addiction from other diseases and are likely reasons why we struggle with the reality of addiction as a disease. To further complicate the issue, not all who use substances are substance abusers and not all substance abusers are addicted. 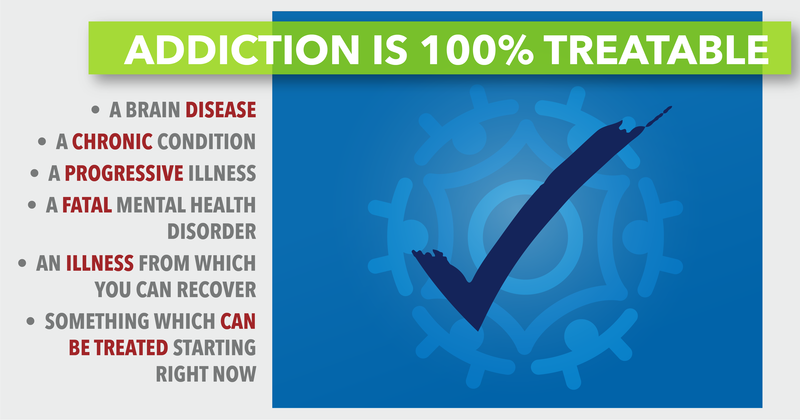 Ultimately, addiction is a disease that presents a complicated public health concern with no easy solutions. There is no neatly packed, bullet pointed paper that anyone can write to delineate all of what addiction is and how it should be dealt with as a societal issue. However, if we change our belief to reflect a proper understanding that addiction is a disease, we can begin to form a more efficient and effective plan to move towards eradicating this plague from our culture a little bit at a time. Today, we treat the plague with powerful antibiotics and the disease is nearly wiped out in comparison to the 14th century. What would happen to the disease of addiction if we began diverting resources from arrest and incarceration to prevention, treatment, and research? Might future generations find themselves in a much better world where people dying from addiction become the exception and not the norm? Might our grandchildren not be writing about a disease that used to cause death and destruction to nearly all families but now was rare? It is a big vision, but bigger visions have become realities in our history. 1 Columbia, C. A. S. A. (2013). Addiction medicine: Closing the gap between science and practice.